Visiting America's national parks can mean the experience of a lifetime, even if you have seen one or all of them before. An RV vacation to a U.S. national wonderland brings views, outdoor recreation and relaxation right to your door. Here are 10 of the best national parks to visit when on an RV adventure. They are not in any specific order. Pick your destination or destinations and Hit the Road! The rugged Maine coast offers something for the whole family. In Acadia, the most inspiring part of your trip may be the waves crashing on the rocky shores, the fresh pine scent surrounding you or the hiking opportunities. Trekking into the forest provides both views and the ocean airs blowing your hair. Discover two RV campgrounds accommodating RVs, both within walking distance from the ocean. Here you'll find the ultimate nature experience, with sparkling streams, waterfalls, and lots of wildlife. Virginia forestlands are teeming with birds for the pleasure of bird watchers. Hiking trails are abundant and there are some for every level of skill. The best for RVers is Skyline Drive's incredible beauty as you travel through the Blue Ridge Mountains. Plenty of RV camping too! No hookups but who cares when you are right there in this gorgeous natural setting. Nothing can really compare to the Colorado Rockies. You are going to witness some of the most incredible sights in the United States. Towering mountains, beautiful meadows filled with wildflowers ablaze. Drive from one side of the park to the other and see it all. 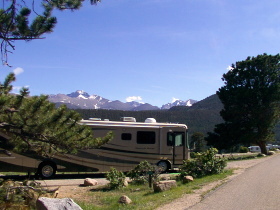 There are two RV parks within Rocky Mountain National Park that are open all year long and have RV spaces for vehicles up to 30 or 40 feet in length. Making memories is what it is all about at Glacier National Park in the Big Sky Country of Montana. Snowcapped mountains and the wooded slopes invite you to gaze for hours at splendid vistas. The fresh alpine air is invigorating. Watch the mountain goats, moose and elk throughout the park. Be sure to drive up on Logan Pass, the highest elevation in Glacier. 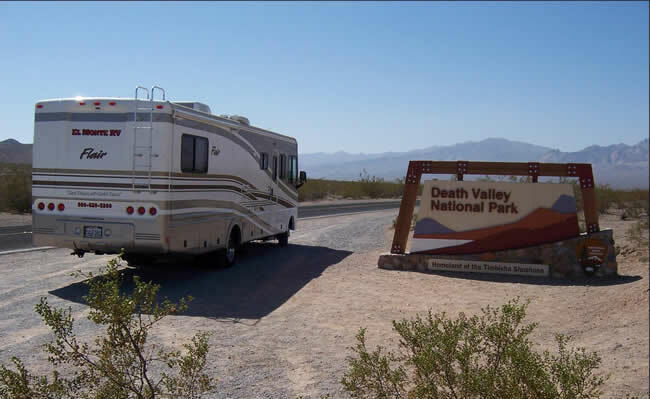 Depending on your RV length, you will find the perfect campsite in one of the campgrounds within the park's boundaries. An RV trip to the Grand Teton Mountains in Northwestern Wyoming provides a wonderful opportunity to enjoy nature at its finest. You have the chance to float on the Snake River, hike hundreds of miles of trails, or take some scenic drives. Relax in your RV motorhome and shed all those workaday woes as you are surrounded by wilderness beauty. Most RV campgrounds in Grand Teton open in May, so you have time to plan your excursion if you start now. For the most unique sights in this country, Yellowstone National Park in Wyoming has no competition. Enjoy the hot springs, the bubbling mud pots and the spouting geysers. Old Faithful is, of course, a must-see. Easy hiking paths give you access to amazing views. The ideal place to camp in your RV is at the Fishing Bridge RV Park. It's close to just about everything. The diverse North Dakota landscapes of Theodore Roosevelt National Park offer scenic drives in your RV that allow you to see many different sights in a short period of time. It is a mix of prairies, canyons and badlands. Guided ranger walks let you experience the natural history of the park. RV camping is provided at two very convenient campgrounds. Both are open all year. Words cannot describe this California national park, with the towering cliffs of granite, the waterfalls, the giant Sequoias and mountain meadows. Yosemite is a breathtaking experience in exploring natural wonders. The tranquility is part and parcel of the High Sierra. Yosemite has ten campgrounds that accommodate RVs, with a maximum length allowed of 40 feet. Another great destination in California, Redwood National Park offers more than just incredibly tall trees. The Pacific Ocean is right there, the waves crashing on the beach, the solitude and peace a wonderful respite from the hustle and bustle of the city. Four campgrounds offer RV sites, each with different length limits. But you'll be covered up to 36 feet. California's Death Valley is a unique place, with enchanting views of sparse desert and fascinating mountain landscapes. Explore the hiking and scenic driving opportunities. Plenty of RV camping too, even some campgrounds with full hookups. There you have it! The 10 top national parks. Get started on your adventure today! Joe Laing is the Marketing Director for El Monte RV, your nationwide source for RV rentals. El Monte RV also sells used motorhomes through eight different locations across the United States. For more information on purchasing a used motorhome see our El Monte RV website.